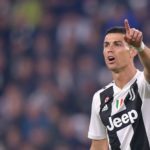 Castrol Rankings and Stats: Cristiano Ronaldo More Than A Sprinter! [/caption]Cristiano â€˜Cheetahâ€™ Ronaldo isnâ€™t just a â€œToyota Prius car weight lifterâ€ or an â€œApollon 11 x4 rocketâ€. He is more than a sprinter, Castrol Rankings and Statistics reveal. â€˜Cheetahâ€™ Ronaldo holds an incredible record that you may not want to believe. There are around 25 competitive races for a 1000 track athlete per season. Per game, Cristiano Ronaldo sprints at least 20 times at full pace. 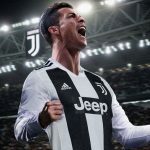 As a footballer plays an average of 50 matches in one season, it comes down to the fact that â€˜Cheetahâ€™ Ronaldo sprints like 1000 times in a season! However CR9 might have been affected by his match bans and his lack of goals throughout the month of January. He has now lost the first spot in the Castrol Rankings as Europeâ€™s best football player. 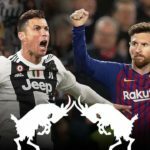 â€˜Cheetahâ€™ Ronaldo is second behind Lionel Messi. The Portuguese gathers 930 points, 50 behind Barcelonaâ€™s Argentine playmaker. Surprisingly, Cristiano Ronaldoâ€™s former Manchester United team mate Wayne Rooney only places 9th in the Castrol Rankings.